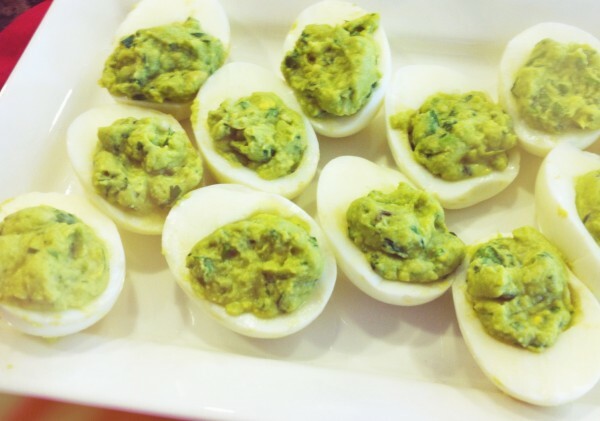 One of my favorite foods that I look forward to at Easter are deviled eggs! I'm an egg eater as it it, I love the protein, but I also love the zingy and creamy little eggy devils. So delicious and definitely a piece of my past. With my personal lifestyle changes I try not to use mayonnaise, so i thought I'd give good ol' Avocado a shot as a replacement! Inspired by the flavors of my Avocado Chicken Salad, I decided to create these with a similar flavor and zest! Be prepared to add some flavor to your Easter spread. Also a great side to bring to other gatherings! Taste test and add any extra flavor you may want… this could be mustard, paprika, lime juice, or salt/pepper -Make it to your taste! Voila! Now you can add a garnish of Cilantro or Paprika or both if you’d like!